In response to the 'Odd Shoes' Mufti on the last day of half term, Year 4 school councillors joined children particapting from other Southport schools at Queenscourt Hospice. 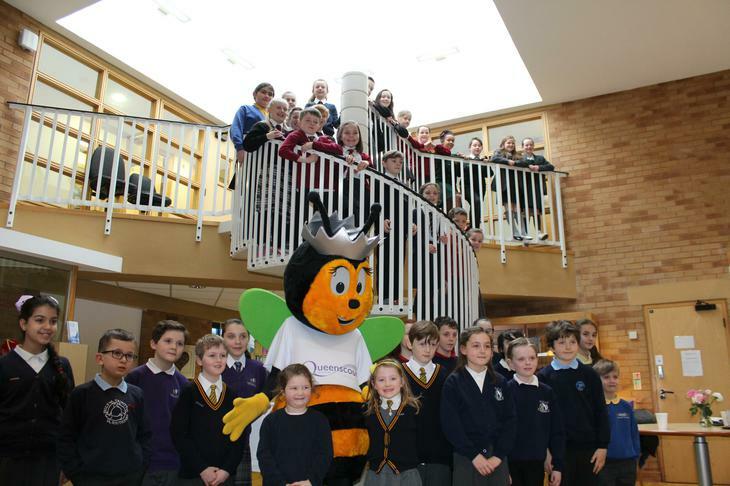 Schools were thanked for their support for this worthwhile cause. A BIG thank you to everyone who contributed at Holy Trinity - we raised £160! Well done!